Gates just opened up about his happiness and what he believes holds many people back from peace of mind. Yesterday, on his seventh Reddit AMA (that’s “Ask Me Anything,” for the uninitiated), Bill Gates took on a simple but profound question: “Are you happy?” You might think the answer is obvious. The man is a billionaire, after all. Why wouldn’t a phenomenally rich guy like Gates be happy? But even as Gates celebrated his own contentment, he also made a point of explaining that it isn’t his billions that make him happy. Instead, it’s something much simpler that, unfortunately, is increasingly out of reach for many Americans. But it isn’t the trampoline room in his house or the fact he frequently flies via private jet that makes the difference. Instead, it’s the freedom to not stress about money. “I don’t have to think about health costs or college costs. Being free from worry about financial things is a real blessing. 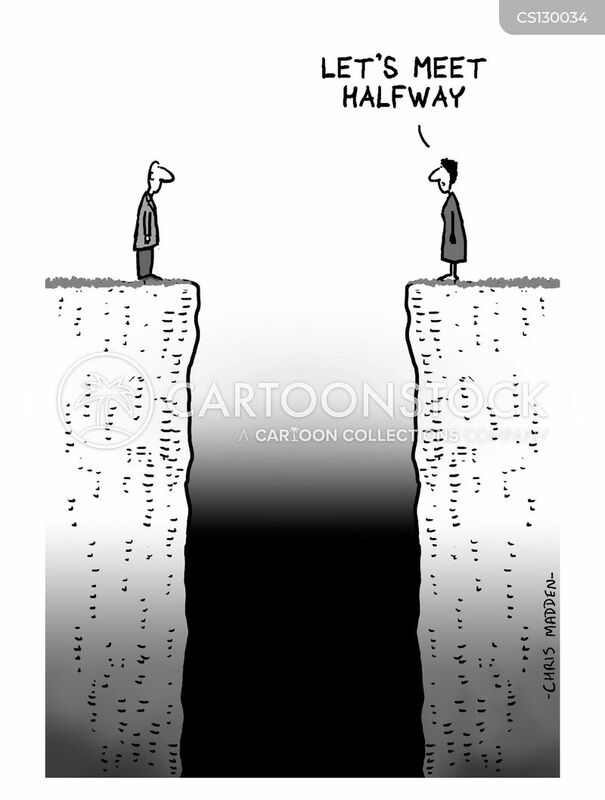 Of course, you don’t need a billion to get to that point,” he explains. Gates reads a lot of research so he’s no doubt aware that science is on his side on this point. Study after study shows that making more will increase your happiness about up to the point where you can stop worrying about covering essentials and absorb the shocks and setbacks life inevitably throws your way. After that, having strong relationships and more time are greater predictors of well being. So far, Gates’s thoughts on money and happiness seem sensible and straightforward. But there’s one big complication when it comes to the relationship between finances and well being. As Gates acknowledges, getting to that magic point where you can stop worrying about money and cover basics like college and health care is becoming harder and harder for most Americans. “We do need to reduce the cost growth in these areas so they are accessible to everyone,” he adds in his answer. The numbers (as usual) bear him out. The average cost of health insurance, adjusted for inflation, has increased ninefold since the 1960s. Total spending on health care rose from $74.6 billion in 1970 to $3.5 trillion in 2017. Meanwhile, the cost of an undergraduate degree at a public school rose 213 percent just from the late ’80s. These statistics put a grim spin on Gates’s answer. Sure, you don’t need a billion dollars to be happy. You don’t even need a million dollars. (And no, don’t write me enraged tweets–no one, including Gates, who also writes about his joy in his kids, is saying money is everything when it comes to happiness.) But it is super helpful not to worry that, if your child gets sick, you won’t be able to afford her medicine. And that sadly, is too high a bar for many Americans. What’s to be done about this? Unfortunately, this isn’t one of those columns where I can offer you an easy takeaway, except maybe to call your congresspeople and express outrage about the situation. Because Gates and a ton of research are right: In America, it’s getting a lot harder to reach the point where money isn’t a drag on happiness. Utah’s Orrin Hatch is leaving the Senate, after 42 years. The Republican led bipartisan efforts to provide health care to more kids and AIDS patients. He also thrived on donations from the drug industry. In 1997, the two proposed a broad new health safety net for kids —the Children’s Health Insurance Program. “It was necessary to have someone who was a champion who would say, ‘All right, if we need to change the law, what does it look like,’ and ‘Let’s go,'” Israelsen said. An interview with former US Representative Henry Waxman of California. Of the more than 12,000 Americans who have served in Congress since it convened in 1789, few have had careers as fruitful as Henry Waxman’s. 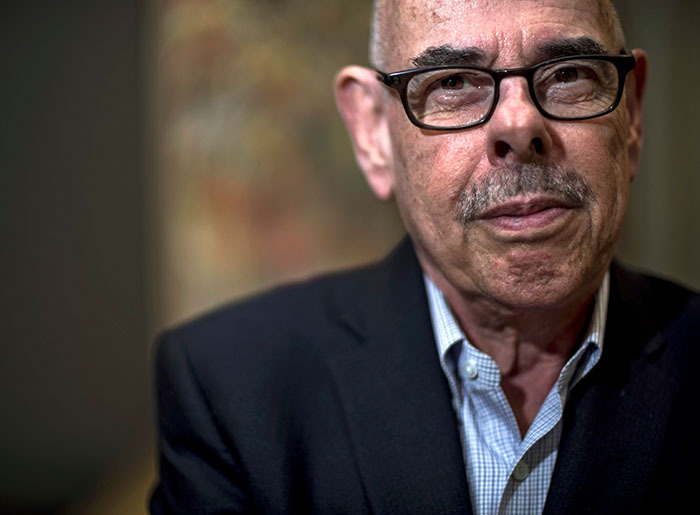 Representing west Los Angeles and its surrounding areas for 40 years, Waxman, 78, left a remarkable imprint on US health policy. His manifold accomplishments were capped by the passage of the Affordable Care Act (ACA) in 2010. A son of south-central Los Angeles, he worked at his father’s grocery store, earned a law degree at the University of California, Los Angeles, and in 1968 won a seat in the State Assembly. He was elected to the US House in 1974 in an era when bipartisanship was ordinary and health care had yet to become an overwhelming economic and political force in American life. Waxman was known in Congress for his persistence at wearing down opposition. Republican Senator Alan Simpson of Wyoming famously called him “tougher than a boiled owl” after negotiating the landmark Clean Air Act amendments of 1990. Waxman led efforts to ban smoking in public places and to require nutrition labels on food products. I talked with him recently about his experiences, the future of health policy, and the changing language of health reform. The transcript has been lightly edited for length and clarity. Q: In 1974, when Los Angeles voters first sent you to Washington, health policy wasn’t the ticket to political influence. You are a lawyer, not a doctor. What drew you to health care? A: When I was first elected to the California State Assembly in 1968, I believed that if I specialized in a policy area I would have more impact than if I tried to be an expert on everything. 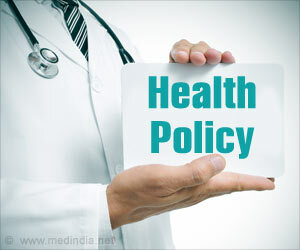 Health policy fit my district in Los Angeles, and I could see that government needed to be involved in a whole range of decisions, from health care services to biomedical research to public health. I was chairman of the Assembly Committee on Health. I was elected to Congress in 1974 in a Democratic wave election. I wanted to get on a health policy committee, which was Energy and Commerce. Democrats picked up so many seats and there were so many committee vacancies that year that it was easy to claim one, and I got on that committee. Within four years there was a vacancy for chair of the health and environment subcommittee, and I stepped up to that. It gave me a lot more impact. Q: What role do you think health care will play in the upcoming elections? A: If the Democrats do as well as I expect and hope, it will be more because of what Trump was doing in the health area than anything else. Even though people value health care services and insurance, the idea that the president and the GOP wanted to take away health insurance and reduce benefits for people who needed it — that was something they didn’t expect and were angry about. Q: Is it feasible to provide health coverage to everyone? A: I have always felt we needed access to universal health coverage. It wasn’t until we got the ACA under Obama that we were able to narrow the gap of the uninsured — those who couldn’t get insurance through their jobs, who weren’t eligible for Medicare and Medicaid, who had preexisting conditions, or who couldn’t afford the premiums. The ACA helped people have access to an individual health policy by eliminating insurance company discrimination and giving a subsidy to those who couldn’t afford coverage. It wasn’t a perfect bill, but it was important. The idea that Republicans would come along and bring back preexisting conditions as a reason to deny people coverage is what drove enough GOP senators to stop the GOP repeal bill from going forward last year. We’ll see what they do by way of executive orders or through the courts to try to frustrate people’s ability to buy insurance. The Republican ACA repeal bill last year was a real shock because they also wanted to repeal the Medicaid program and allow states to cut funds for people in nursing homes, people with disabilities, and low-income patients who rely so heavily on that program. And they had proposals to hurt Medicare that House Speaker Paul Ryan had been advancing. The American people do not want to deny others insurance coverage and access to health services. Q: Bipartisanship has gone out of style. Can it be revived? A: It doesn’t look very likely now, but I built my legislative career on the idea that there could be bipartisan consensus to move forward on legislation. All the big bills had bipartisan support. The only bill that got through on a strictly partisan basis was the Obamacare legislation, and I regretted that. The Republicans just wanted to denigrate it and scare people into believing the ACA would provide for death panels, hurt people, take away their insurance, and keep them from getting access to care. None of that was true. Q: A growing number of Democrats want to establish a single-payer health care system for the state. Do you agree with them? A: A lot of people mistake the phrase “single payer” with universal health coverage. While I share the passion of people who want to cover everybody, single payer is not a panacea. My goal is universal health coverage. The Republican attempt last year to repeal the ACA and send 32 million Americans into the ranks of the uninsured was an albatross around their necks. But the Democrats could turn this winning issue into a loser if some make a single-payer bill such as Medicare for All into a litmus test. I cosponsored single-payer legislation in Congress with Senator Ted Kennedy, and I always sought to bring the nation closer to universal coverage. I authored laws to bring Medicaid to more children and to establish the Children’s Health Insurance Program, and I led the fight to enact the ACA. These bills were very important. If we passed something like a single-payer bill, which would be extremely hard to do, we would be passing up opportunities to make progress. A lot of people who want a Medicare for All bill don’t realize that those of us on Medicare have to pay for supplemental insurance, because Medicare doesn’t cover everything. Medicare doesn’t generally cover certain services like nursing home care, so to get help you have to impoverish yourself to qualify for Medicaid. One organization is sending out letters telling voters to support a single-payer bill and you won’t have to pay anything anymore. We can’t afford something like that. Democrats can embrace a boundless vision for a health care future without being trapped by a rigid model of how to get there. We should increase the number of people with comprehensive health insurance and focus on lowering costs. People with Medicare don’t want to give it up. People have health insurance on the job. I would rather expand on what we have and build it out to cover everybody. People don’t seem to remember that Democrats could barely muster the votes for the ACA when we had 60 votes in the Senate and a 255–179 majority in the House. Even if we recapture Congress and the presidency, I don’t think we would get a Medicare for All bill passed. It would require such a high tax increase that people would be absolutely shocked. Q: What would be the national impact of California adopting a universal coverage plan? A: Californian progress would be a model for the rest of the country, and we would be doing what’s right for the people of California who don’t have access to coverage. I think California is a trendsetter — for good and for bad. Proposition 13 and term limits started in California and spread to other states, and I think they have been a disservice. We’ve also done a lot of good things in California, and the rest of the country follows those things as well. People who try to marginalize California do so at their own risk. People around the country look at California as a leader. California embraced the ACA, expanded Medicaid, and has been moving forward on making sure our public health care system is reforming itself to represent the needs for population health care and to ensure that uninsured low-income patients get access to decent, good-quality health care. Q: More states are adopting work requirements in Medicaid. Do you think that will become the standard nationwide? A: Work requirements are inconsistent with the Medicaid law. We’re talking about making people go to work to get health care when they’re sick. I just don’t think it makes sense. The courts may throw it out, and if not, at some point there will be a reaction against it, and it will be repealed by a future Congress. A: In the difficult fight against big tobacco, one of the lessons we learned was that even an extremely powerful group like the tobacco industry could be beaten if you keep pushing back. Even though there was overwhelming public support for regulation of tobacco, it took until 2009 before we could enact tobacco regulation by giving the Food and Drug Administration (FDA) authority to act. In the meantime, there were lawsuits by states to recover money they spent under Medicaid programs to cope with the harm from smoking. With opioids, there will be more and more lawsuits against distributors and manufacturers whose actions resulted in deaths of people from opioid addiction. Congress now is grappling with many bills to help people who are addicted, to prevent addiction from spreading further, and to restrict the ability to get the drug product. I’m optimistic we can come to terms with this crisis. Q: What have you been doing since retiring from Congress? A: I wanted to stay in the DC area near my son, Michael Waxman, and his family. He had a traditional public relations firm and he asked me to join him. In the health area, we represent Planned Parenthood in California, public hospitals in California, community health centers at the national level, and hospitals that get 340b drug discounts because they serve many low-income patients. We have foundation grants to work on problems of high pharmaceutical prices, and foundation grants to have a program to make sure women know about the whole range of health services available to them for free under the ACA. I enjoy working with my son and pursuing causes I would have pursued as a member of Congress.